Provision of engineering consultancy services. Additionally, we are in the process of developing our own custom products. Our involvement with our customers ranges from the production of specifications for either a complete system or component part of it through to the delivery of the tested complete system or component part. We provide both systems engineering support and consultancy. Our experienced engineers can assist with all phases of the design process from identifying and analysing the key requirements through the evolution of the system technical specifications. We have considerable experience of safety and hazard analysis, formulation of ARM plans and FMEA. 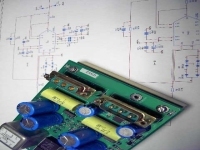 Our experienced electronic designers are equally at home with digital and analogue circuit design. We are accustomed to the problems of harsh environments with high temperatures and pressures and severe shock and vibration. Working closely with our customers we are able to use our engineering expertise to turn original early stage ideas in to designs suitable for manufacture, develop prototypes and evolve or improve existing products. Proving that the product meets all its requirements is an important aspect of design that demands considerable skill and has scope for significant innovation. We have provided consultancy to customers and helped to improve and streamline their verification programmes. We have a good understanding of the theory and application of signal processing techniques, especially in sonar systems, but with much wider application. We design and implement signal processing solutions and provide a consultancy service to our customers. 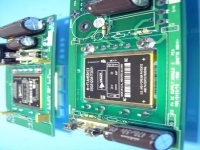 Much of our experience is in the development of embedded software and firmware for microprocessor, micro-controller, DSP, CPLD and FPGA targets.